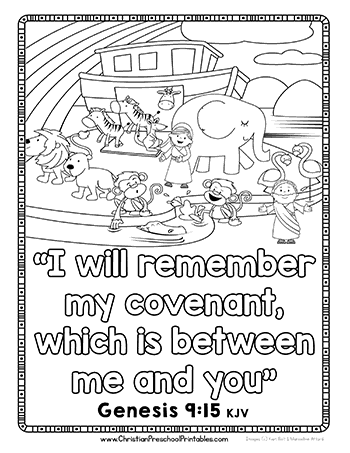 These free printable Noah and the Ark coloring pages will instill good moral teachings in your child, while allowing them to engage in a productive activity like coloring. 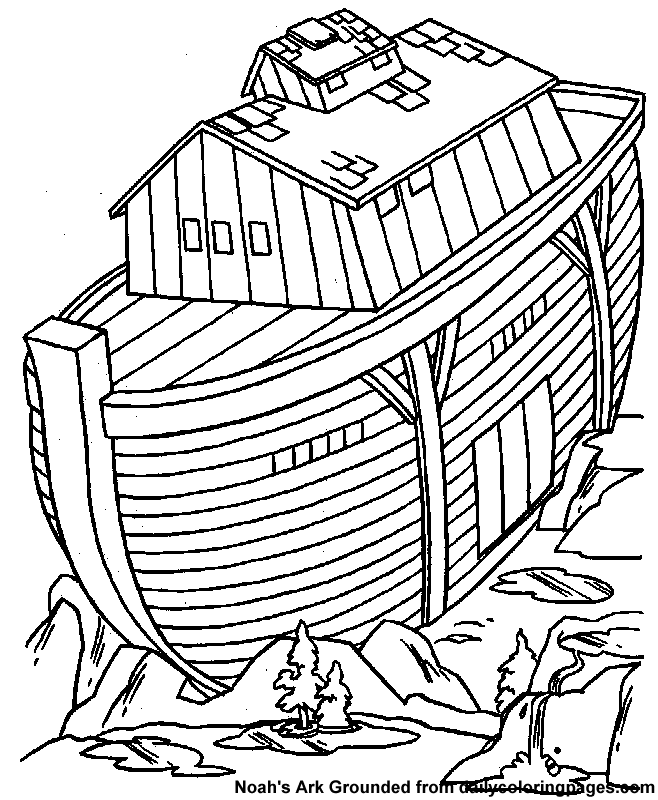 Here is a Noahs ark coloring page that showcases Noah’s Ark with a rainbow in the background. To keep your kid more engaged, you can ask him to name some of the animals in the picture.Help him color this picture as it has too many characters. This picture brings to light the animals which entered the ark in pairs. 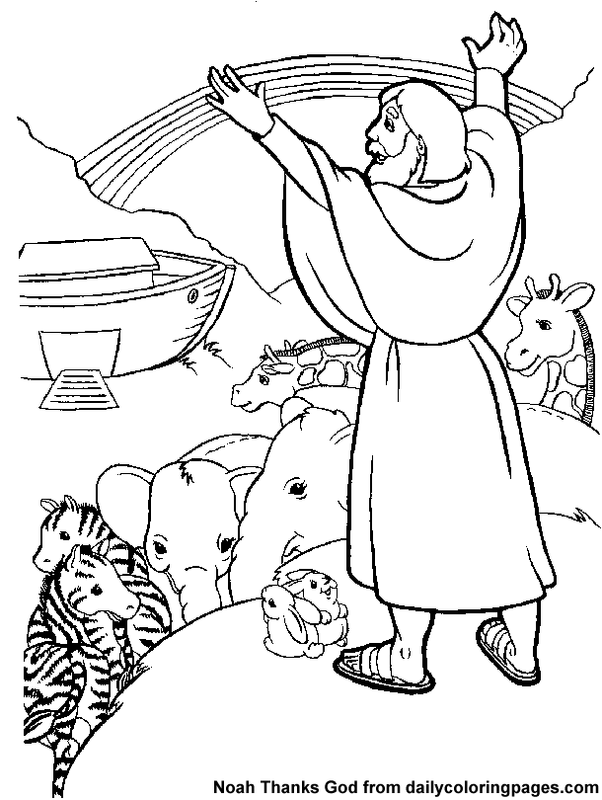 The picture showcases Noah instructing the animals to board the ark. Stories with pictures always interest children. It is not only an interesting way to engage them but also helps in memorizing the story easily. 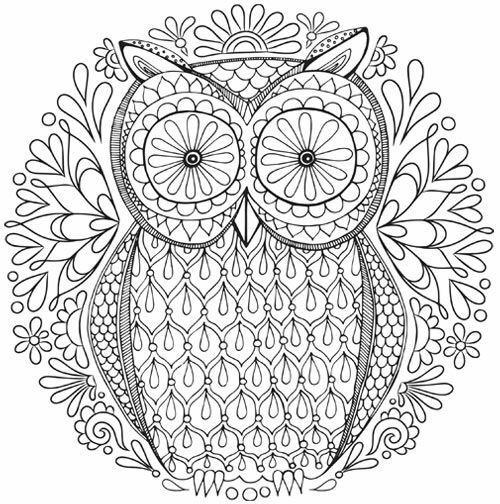 How about giving them coloring pages of one such interesting story? 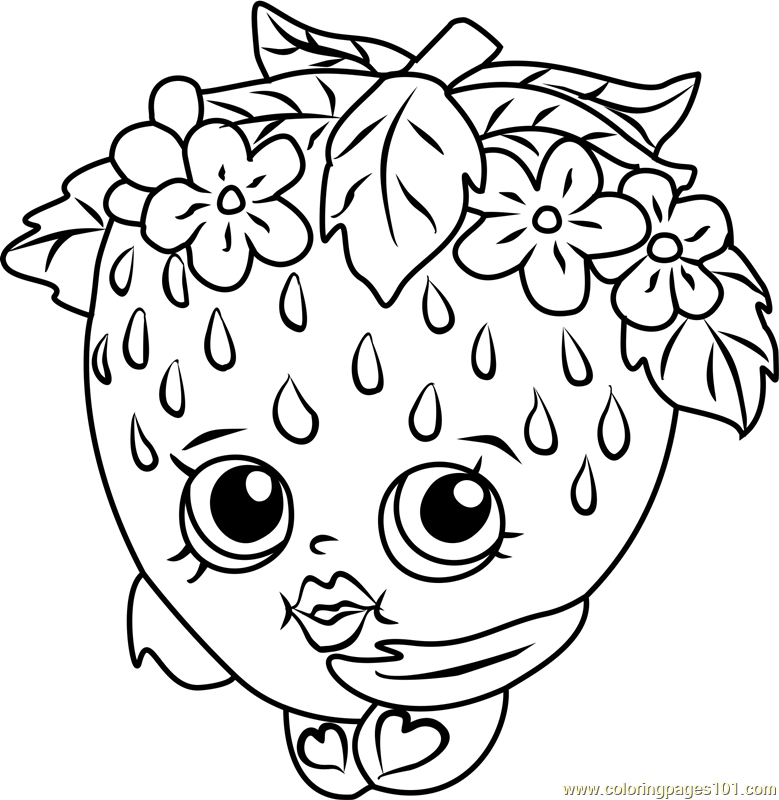 Our set of coloring pages will definitely interest your kid because of the adventure-laden story associated with it. Your kid may need assistance while coloring this picture owing to the many elements.The rainbow in the background is God’s way of telling the world that he promises never to destroy the world by water again. The story can be found in the first book of the bible – Genesis. The story of Noah and the Ark is one of the famous tales for children. It is an adventurous story that talks about how God gave Noah instructions to build an ark to save his family and animals. You can read out the rest of the story to your kid with the coloring pictures. This picture showcases an aged Noah with animals entering the ark in the background. This picture is apt for children who are familiar with shapes and are quite experienced where coloring is concerned.The rain stopped and the flood subsided after 40 days and nights. This image will be quite challenging for your kid owing to the fact that there are four small images in one picture to color.After coloring, let your kid tell you the story with this picture. This picture gives a scene-by-scene look of the story of Noah. 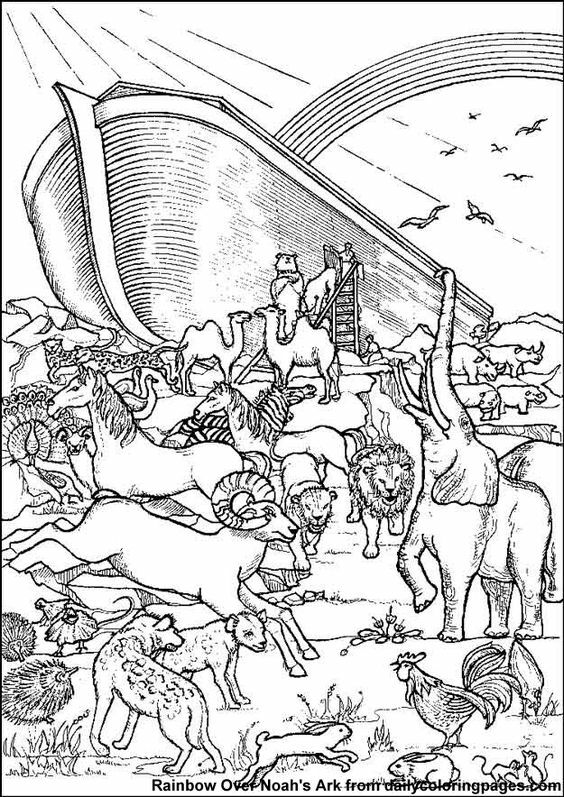 This coloring page highlights the fact that Noah built a large ark to accommodate his family and animals according to God’s instructions. This image shows how Noah and family as well as the animals rejoice after setting foot on dry land. This picture is apt for children who are also learning to read the Bible as they will relate to it better.God instructed Noah to allow a male and female animal each to enter the ark. You may have to assist your child when choosing crayons to color this picture.Let your kid recognize the characters in the picture. Let your kid color this picture; ask him to narrate this particular scene.The picture will teach your child to be obedient to God’s voice. This picture shows a wooden toy Ark with Noah and his wife as well as the animals. 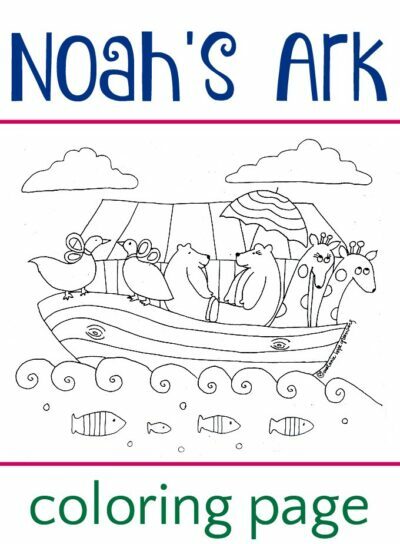 Share your kid’s coloring experience on these free printable noahs ark coloring pages online by commenting below. Your kid will specially love coloring the rainbow as it will allow him to use bright hues.Noah obeyed God’s word to build the large ark and went about choosing animals to come on board the ark along with his family.